The ground-level shopping centre built in September 2008 has a ground plan surface of 244.55 x 106.7 m. It is founded on individual footings, under which gravel columns of a length of 10 m were executed. Since the columns do not reach the carrying support, the building was subject to unequal settlement during consolidation. The most considerable settlement was measured at the south-eastern corner of the building, where the thickness of the clay layer with poor carrying capacity is greatest and the base is located most deeply. The foundations needed immediate reconstruction to prevent further settlement of the building and to ensure its undisturbed operation. 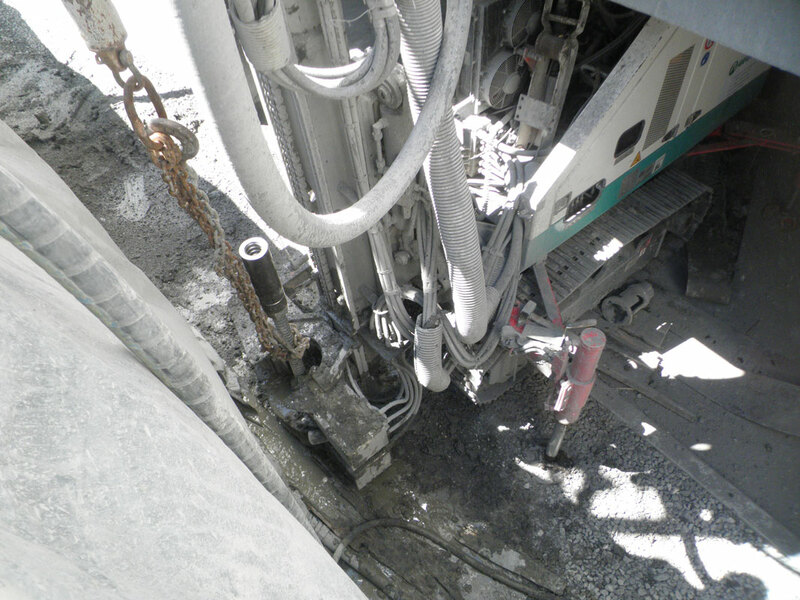 Execution of deep foundation with GEWI® piles up to the marl base was foreseen. The reconstruction area included two thirds of the building. 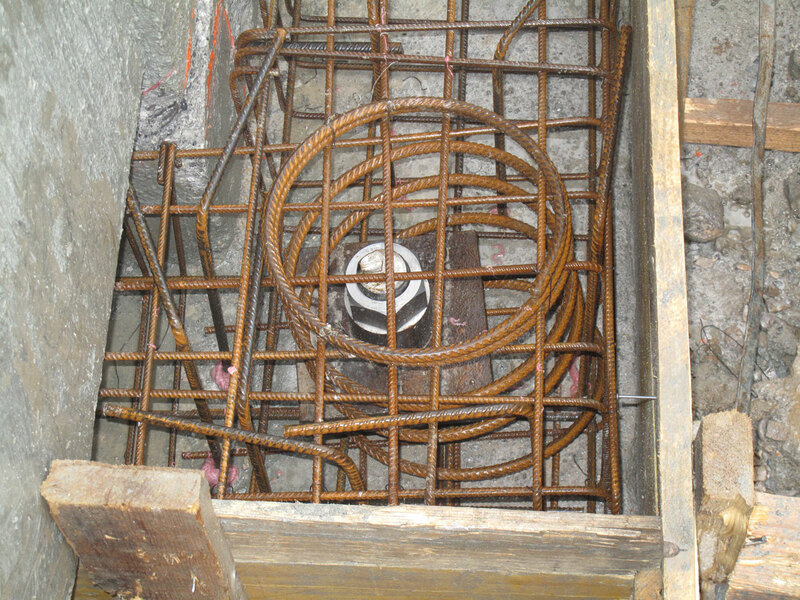 Four piles were integrated below each reconstructed footing. 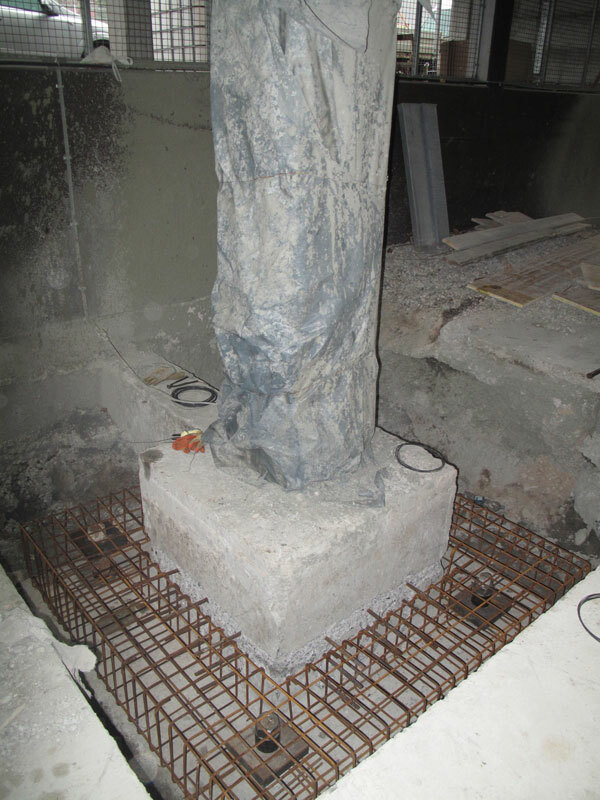 Reconstruction of damaged edges of the short cantilevers on pillars in the basement was also foreseen. The damages occurred primarily due to relative twists between individual prefabricated elements, which are a consequence of differential settlement of the foundation ground and inadequate neoprene beds on short cantilevers. Project typeReconstruction, engineering structure: deep foundationLocationNova Gorica, SloveniaArea26,000 m²Inv. value€3,600,000.00 Year(s)2015–2016 project, 2017 executionServicesStructural design: preliminary design, building permit design, tender design, execution design, as-built design, project for exploitation and maintenanceInvestorCentrice Ljubljana d.o.o.